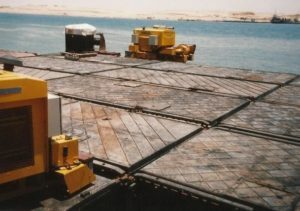 Over the course of five decades, Hydromaster has supplied more than 750 steerable propulsion unitsto more than 15 prestigious clients that contributed to the development of Egypt’s inland and marine infrastructure and intermodal transport system. 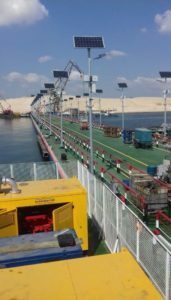 Recent deliveries of HYDROMASTER propulsion units to the Arab Republic of Egypt comprise supply of 15 x 400 hp units to Suez Canal Authorities, powering several floating bridges crossing the Suez Canal. In 2003, we supplied 200 hp units to Arab Contractors and more recently we renewed this relationship when we received the honour of supplying 8 x 240 hp units to Massara Shipyard. 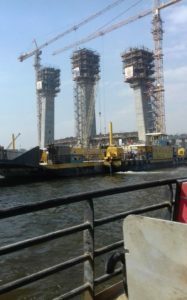 These propulsion systems are propelling two River Nile ferries, mobilised for the construction of the Rod El Farag Bridge. These recent successes highlight Sykes now five-decade relationship with the Arab Republic of Egypt. Based on Ahmed El Ramly’s introduction, back in the early 1970’s, and the prospects offered within the then developing Egyptian market, it is a continuation of a very successful partnership. Back in the 1970’s we were privileged to supply our lower horse power range to the Government of Egypt and the Egyptian Army, these comprised several 100hp units. In later years we enhanced our range and supplied several 150 hp units in the 1990’s, again to the Egyptian Army. Also, supplying units for the Tourah River Buses, that still operate today. 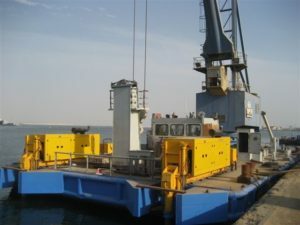 2007 prompted a renewed association with the Suez Canal Authority, to which we supplied both our smaller 120hp range for SCA’s 100T DWT Dump Barge. And the largest of our range at the time, being the Series 4, propelling the Maged Floating Crane. In addition to those proud contracts already stated, we are also privileged to mention many other contracts that have been our honour to fulfil. 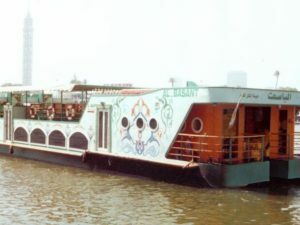 These include propulsion systems to operate bulk barges for Assuit Cement, inspection and service vessels for Aswan High Dam, dredging pontoons for the Behera Company, tugs for the Canal for Shipping & Lighting, floating bridges and tugs for the Egyptian Armament Authority, more dredging pontoons for Kyearner-Egypt, service vessels for Nedlloyd-Egypt and pontoon ferries for Thomas Storey Engineers-Egypt. These achievements were all initiated and developed with our longstanding overseas partner, the El Ramly organisation, and this partnership remains firm today. A steady consistency, we believe has and will continue, to serve Egypt well into the future.